One of the most frequent questions I get asked is how long food will store if using Mylar Bags and Oxygen Absorbers. I don’t try to be evasive, but sometimes I can’t come right out and say a specific period of time, whether that will be 1, 5, 10, 20 or even 30 years, which is the claim that many survival and preparedness sites use as the longest food will store. The reason is that there are multiple factors that go into whether your food will store poorly or well long term, and the packaging is just one piece of it. I definitely don’t want my families livelihood or another families survival threatened if I say ‘yes, your food will store 5 years’ and then 5 years from now someone opens their food and find it is spoiled because they stored it in their garage which is 110 degrees in the summer and -10 in the winter, they didn’t seal the bags properly, and they stored food with 25% moisture content. Here is what I will say: there have been studies of food storage methods done by the LDS and others that indicate some foods can be stored up to 30 years or more. What that means is that the food retains its nutritional and caloric value, but might still have some taste and palatability issues. However, please be aware that most of these studies are for the standard practice of the LDS Church of using #10 cans in their food storage. You might find it funny for a supplier of Mylar and O2 absorbers to recommend #10 can sealing. Mostly I want to provide the best information I can, and there is no doubt that #10 can sealing is the best way to store food long term…if you have access to a sealer and a supply of #10 cans. The challenge is can sealing is VERY expensive. To store the same 400 pounds of food that a standard Mylar Bag combo kit can, it would take approximately 80 #10 cans. Even if you add in the cost of buckets, it would cost the average person $80.00 or so to store using Mylar and buckets, but over $400 using #10 cans. That’s a pretty huge difference if you are trying to take care of your financial resources. 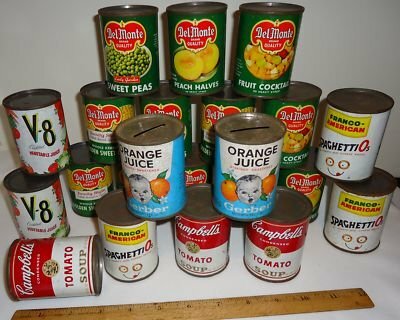 If you have access to an LDS cannery, you can get cans much cheaper, but even so it would cost 50-100% more to store using cans. So yes, I recommend #10 can sealing if you can afford it and have access to the tools needed, but I recommend Mylar and bucket storage as the next best thing for the rest of us. A properly sealed Mylar bag stored with an oxygen absorber inside a bucket mimics the most important properties of the #10 can system: oxygen elimination and light control inside a rigid barrier to protect from rodents or insects. The other two properties that most effect your long-term food storage and temperature and moisture. Because I had a hard time remembering the four main enemies of food storage, I came up with the acronym MOLT. It stands for Moisture, Oxygen, Light and Temperature, and it helps me keep focused on mitigating each of them when our family stores food. Sometimes I include ‘Time’ as a fifth enemy, but it is really just that the other 4 do damage…over time. Let’s take a brief look at each. Moisture is probably the most difficult of the factors affecting your food storage, mainly because it is a byproduct of our environment and where we live, as well as a component of the actual food. Unless you live in a desert or extremely arid part of the country, you are going to have some or much humidity at one or more points during the year. This is also why you should look to store low moisture foods, preferably under 10%. It’s interesting that many types of dog food will list the moisture content right on the bag (we have several between 8-12% moisture stored), but people food generally won’t. This is likely a combination of lack of interest, lack of regulation, and the fact that people foods are almost always listed with a shelf life. The food types that are available with a low moisture content are those people generally associate with long-term food storage: grains, beans, legumes, and dehydrated or freeze dried foods. If you are buying bulk grain from a farmer, they will usually know the moisture content of their products; some bulk packaged foods at the big box stores may also indicate it on their packaging. A good rule of thumb is grains will shatter and turn to powder if hit with a hard object; other seeds should break in half if bent. This is another case of using your best judgment. The second enemy of food storage is oxygen. Oxygen allows the growth of micro-organisms, some of which can be harmful to food, as well as causing oxidation (especially profound on oils, which become rancid) and spoilage. Luckily, with the development of oxygen absorbers, it has become fairly easy to eliminate oxygen inside food packaging. Mylar bags meant for food storage have incredibly low oxygen (and water vapor) pass through. For example, the larger Mylar bags we carry have an Oxygen Transfer Rate (OTR) of less than 1cc (1/1000th of a liter) per year. So if you stored a bag of wheat long-term and it was properly sealed with an oxygen absorber, it would take 1000 years to have 1 liter of oxygen pass through the bag. That’s quite a barrier! Light is the third enemy of food storage. This, combined with the others, is why it is always recommended that you store food in a ‘cool, dark, and dry’ place. Like oxygen, light causes spoilage and the reduction in vitamin content in food. However, it is probably the easiest characteristic to guard against. Mylar itself is an excellent light barrier; a bucket is another. Storing food in a dark area completes the process. Even most standard food packaging blocks light sufficiently. I suggest this is probably the easiest of the 4 enemies to fight. The final enemy of food storage is temperature. Depending on where and how you live, it may be easy or extremely difficult to control the temperature at which you keep your food storage foods. In the old days, many people had root cellars to help preserve food. Today, if you have a basement, it may stay relatively cool as well. We are lucky in that we have a split-level ranch where our downstairs/basement stays on average 10 degrees cooler than upstairs. This allows our food storage to stay in relatively decent condition of around 50-60 degrees year-round. However, during the height of summer it can get to 70 degrees, depending on how much we use our basement door for outside access. One rule of thumb is that for every 10 degrees warmer it gets, your foods’ shelf-life is cut in half. For example, if you go from storing a bucket of wheat at 60 degrees to 70 degrees, instead of lasting 20 years, it will likely only last 10. You can see how important this makes the environment you are storing your food in. I’ve seen some great suggestions for storing food in a regular living area to take advantage of the generally cooler environment. For example, some folks store food in closets or under their beds. You can find wheeled shelving that will even let you put canned goods under a bed and be able to roll it in and out for access. As you examine your situation, take some time to plan when you are about to begin a phase of food storage. Understand the environment you have to work with, and consider buying foods appropriate to that environment. If you live in area where humidity is high year-round, consider more canned goods than others which will degrade because of that. If temperature is an issue, be prepared to rotate your foods more frequently. As always, if you have any questions, please drop me a line at admin@adviceandbeans.com! Thanks to Laura from MO for this sound advice! Anyone interested in entering the contest just drop me a line! I first heard the term “copy canning” in 2000 or so, just after the Y2K computer crash never happened. It orginates as far as I can tell with an article by Karen Hood (her and her husband are pretty famous in the survivalist community). I’ve never read it on this blog, though what the owner advocates is basically the same thing. I guess common sense is common sense. The biggest question I get from my non-prepper friends and family is “How do I start? I’ll never be able to afford a years worth of food”. Well, other than “are you crazy?” Copy canning has become my easy answer and a way to introduce people to food storage without the buckets and mylar (no offense) or the crazy-expensive freeze-dried or dehydrated foods. I simply tell people: buy what you regularly do, just buy a little extra. It works best with canned goods, but it certainly works with almost anything you might regularly buy, except for perishables such as fresh fruit and vegetables or meat. Inevitably, copy canning becomes addictive. I’ll hear a friend say “The fruit salad was on sale and we’re going to eat it anyway so I bought 10.” Usually followed by “Do you have any extra space at your house?” So the next step in the process is to teach people how to start organizing it and understanding how much food they actually have on hand and setting a goal of how much they want. If a family eats 45 cans of vegetables per month and they now have 120 in the basement and 15 more in the pantry, they have 90 days of vegetables on-hand. That doesn’t necessarily equate to 90 days of food, just 90 days of that particular item they regularly eat. So my advice? Follow a few simple steps, and then a few more, and you will be more prepared than 80% of people in the world. 1) Start copy canning today – buy 1 extra item of any item you buy when you go grocery shopping, except for perishables. You can set a goal of how much food you want on hand later, the important thing is to actually start! 2) Keep your ‘extra’ cans separate – Don’t put them in the pantry with the rest of the food. Why? Because if you do, you will likely eat it all before you buy any more, counteracting what you want to accomplish. Many people buy racks to store food, but I’ve seen some with limited space store flats of cans under beds, in closets, and in their garage. My suggestion is if you have to store in the garage, rotate your food more often, because the temperature extremes will lower the shelf life. 3) Rotate your food – If you eat a can of beans, add it to your grocery list, go get one from your storage area to replace in your pantry, and buy it when you next go shopping. That’s really all there is too it. I sometimes laugh when I see hundreds of blogs and websites about food storage, when all it really takes is some common sense. Thanks to Don S and Alan B for our first two entries in our Food Storage Article Contest. I’ll likely post all entries each Sunday and Wednesday. Remember, if you’d like to participate, just drop a line to admin@adviceandbeans.com. There’s over $500 in prizes up for grabs! Food storage is part of survival. Our ancestors stored food for times when certain types of food were scarce such as winter when fresh vegetables were not available or in summer when wild game was reproducing. Now we just visit the store and buy what we fancy that day or maybe go to a restaurant. Our storage thoughts go no further than the next trip to the store or what might be on sale this week. We have become a dependent-on-others society rather that the “rugged individualist” we once were as a people. Lately, catastrophes have been taking their collective tolls on our comfortable ways of life. Some people are waking up to the possibility that Kroger might not have what we need every day. What would we do if technology suddenly failed? No electricity to power our comfortable way of life would cramp most everyone’s style to say the least. What can we do to prepare for such an event? Two things come to my mind. Learn to identify edible wild foods in your local area. Not just the dandelions but the violets, lamb’s quarters, amaranth purslane and whatever else you have been calling weeds in your garden for years. These are foods you do not have to plant. Just locate and identify them and prepare them for the table. This is free food for the picking. The other thing that comes to mind is begin gardening with a vengeance. Not just planting some lettuce and beans but growing heirloom plants and saving the seeds and planting them the next season. These foods can be canned or dried and stored to sustain you when the cans of spam and tuna have long since run out. Get out from in front of the TV or Play station and begin learning what our grandparents always knew, how to find and produce food. It is possible my advice could be considered the ‘first rule of prepping’ or food storage. It has been repeated so many times by survivalists, homesteaders, and preppers of every school, mostly because it’s true: “Eat what you store, store what you eat.” It is so simple, but to this day many preppers I know still insist ‘at the end of the world, I’ll eat anything.’ While that may be true of the prepper herself, it might not be so true of her loved ones. The LDS Preparedness Manual lists ‘variety’ (or lack of) the #1 mistake of food storage (p32) and ‘not using your storage’ as mistake #7 (p33). Having 500 pounds of wheat to turn into bread sounds like a great idea until you realize your cousin Charlie has a gluten allergy. Plus, it also indicates that ‘wheat is too harsh for young children’ as a main staple. If you don’t bake bread or use ground wheat in your daily cooking, why would you store it for an emergency? You won’t know how to cook it, sprout it, or otherwise use it to its maximum potential. You are better off having 50 #10 cans of Spaghettios than 10 buckets of wheat berries. The same with rice and beans. If you hate Chinese and Mexican food, do you think an emergency is going to change that? Store cans of soup and Spam instead if that is closer to your usual fare. It doesn’t roll off the tongue as easily, but the rule should be changed to: Eat what you and your family store, and store what you and your family eat. Take into account the tastes of your entire family and any others who might stay with you during a crisis. Make sure that if 2 family members have a peanut allergy that peanut butter is not a staple you are counting on to carry them through. Include items in your storage that can be used to flavor food, such as spices (even just plain salt and pepper), bouillon cubes or tomato paste so you can avoid appetite fatigue. If your family includes pets, make sure to include them in the rule as well. Some dry pet foods don’t store well due to the oils, but make every effort to have as much food on hand for your dog or cat as you do for the rest of your family. In a time of crisis, a happy furry friend will mean a great deal to everyone. Finally, make sure to store comfort foods; gobstoppers, fireballs, and other hard candies store relatively well. Fruit punch or cocoa store less well, but should be rotated anyway like the rest of your storage. Make the effort to incorporate your food storage into your daily life. If an emergency hits, at least your belly will hardly notice. So I don’t advise not saving. But I’ve started thinking about saving in ways that Uncle Sam won’t be tempted to touch–like paying off your house early, maybe buying a vacation home (for cash) if you know where you’re likely to want to spend a lot of time, and doing the kind of renovations that save you money in the long run–better insulation, higher-end energy-efficient appliances, etc. Paying now to lower your monthly costs later may have a better after-tax return than that “tax free” account. My wife and I have been debt-free for some time now, except for our mortgage. One of our goals is to pay that off in the next 5-7 years. Having a decent lifestyle that can be supported by working at the local fast-food restaurant must bring financial peace of mind, and it is one we hope to achieve. Being prepared goes hand in hand with having our finances under control, and not having them control us. We do have a Roth and a 401(k), but I have about as much faith in them performing well enough to let us retire comfortably as I do in Social Security being available when I am 65. While I do believe in investing for retirement once you have the other financial aspects of your life under control, bringing our monthly costs down to almost nothing will be a better and more immediate investment that will allow more options in our lives. As I also believe inflation will take a good portion of our earnings in the next several years, I am purchasing more (useful) goods that will retain value or hopefully not lose much. My food storage from 2007 is a huge boon, as to purchase the same items today would cost 30% more, and will likely be pushing 40% by year’s end. That’s a whole lot better than my 401(k) performed since 2007. I also assume prices aren’t going down anytime soon, so we are also purchasing some things our house needs and that don’t depreciate rapidly, such as a new refrigerator, washer and dryer, some tools, and maybe a firearm or 3. We’ll still get a deal where we can, such as at the local scratch and dent store, but I’d much rather have at least some of our cash in hard goods than in my savings account earning -8%. One of our preparedness group members also completed a huge project along this line. His electric bill has been outrageous since he bought his home several years ago (over $350/month), so he completely replaced every component of his heating system. He took out the heat pump, installed a propane system with a tankless water heater, and added some insulation as well as some monitoring thermostats. I expect he’ll cut his electric bill in half and the savings will pay for his investment within a year or two. It’s definitely a more interesting mix of saving and spending than I’ve advocated in the past, or that might be acceptable to Dave Ramsey, but one that makes sense for my family. You are currently browsing the archives for theFundamentalscategory.